Shaft Mounted Wheel brushes provide lighter brushing action and Superior finish when cleaning, removing rust and paint, smoothing, Cleaning fettling from cast seams, light Deburring. They are ideal for cleaning polishing and finishing of joints/weld joints or corners and areas that are hard to reach. The standard 6mm shaft attachment makes it an easy to use product with any hand drill. Shaft Mounted Brush Manufacturer, Stainless Steel Shaft Mounted Wheel Brush, Shaft Mounted Abrasive Wheel Brush, Miniature Steel Wire Shaft Mounted Wheel Brush, Shaft Mounted Abrasive Wheel Brushes Supplier in India. Shaft Mounted Wheel Brush Supplier, SS Shaft Mounted Wheel Brush, Brass Shaft Mounted Wheel Brush, BS Shaft Mounted Wheel Brush, Crimped Wire Shaft Mounted Wheel Brushes, Shaft Mounted Wheel Brushes Exporter. Available in 2" to 4". 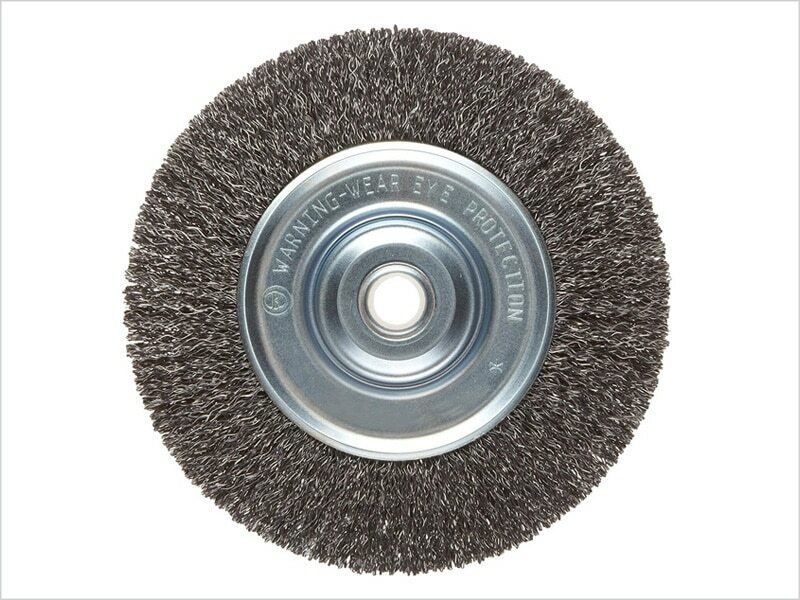 Shaft Mounted Wheel brushes provide lighter brushing action and superior finish when cleaning, removing rust and paint, smoothing, cleaning fettling from cast seams, light deburring.